Last Sunday was a disturbing one. 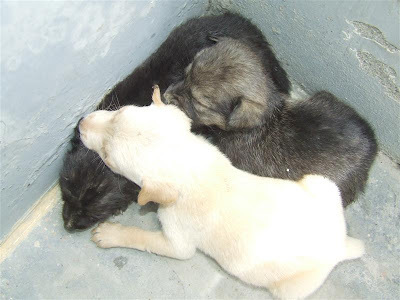 Some ruthless soul had abandoned three very small pups on the road, under an electricity pole. It had rained heavily the previous night. By the time we discovered them, they were half dead. Wet, shivering, spattered with mud and hungry. We were not too sure of their survival. Nature has an unspoken law- between life and death, life must win. For every evil act, there is a good deed. It is this balance that keeps the world going. We got them home, wiped them dry and fed them. They stayed with us for nine days. We were lucky to find two loving families who adopted them. 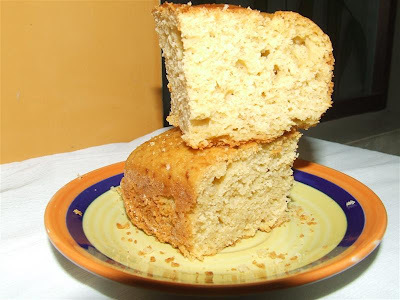 After going through a lot of recipes of corn bread on the net, I finalized on one that seemed to suit our taste. The bread (very much a cake) came out very well. Mildly sweet, it had a very strong flavour of cornmeal. Sift together all purpose flour, cornmeal, salt and baking soda. Beat butter with sugar, add eggs. Mix buttermilk to butter, sugar and egg mixture and mix well. Line a 9” round cake tin. Grease the edges and dust with flour. Add the dry ingredients to the wet ingredients. Mix well till the batter is smooth and there are no lumps. Pour the batter in the cake tin. Bake in the pre- heated oven at 175 degrees centigrade for 35-40 minutes or until a skewer inserted in the centre comes out clean. Remove from the oven after five minutes. Remove from the tin after another five minutes and keep it on the rack to cool. 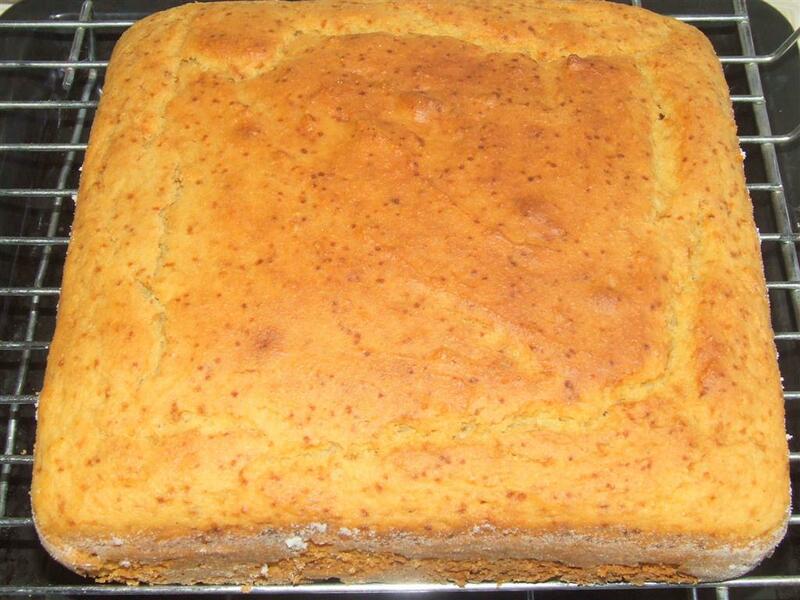 Exactly after a week, I made sweet cornbread again. This time used whole wheat flour in place of all purpose flour and two tablespoons of olive oil in place of butter. I used 1 ¼ cups curd instead of buttermilk. The results were excellent.